In a relatively short amount of time, the cloud evolved from a disruptive technological force into a foundational piece of modern IT infrastructure. It's hard to imagine businesses operating without using the cloud in some capacity today, but questions surrounding its implementation still remain. Perhaps the most pressing concern companies face is how to select the right cloud solution to fit their needs. With so many options available and platforms to consider, the best choice may be to work with an agnostic cloud consultant and digital transformation provider. The ubiquity of the cloud cannot be denied. According to RightScale's 2017 State of the Cloud Report, 95 percent of organizations leverage hosted solutions in some fashion, with two-thirds taking a hybrid approach. For many businesses, their cloud strategy isn't focused around one particular objective, either. Respondents to the RightScale study stated that 41 percent of their workloads currently run in the public cloud, while 38 percent run in the private cloud. "Savvy cloud users are actively looking for opportunities to cut down on costs." Despite these encouraging numbers, a lot of work remains to be done to optimize cloud deployments and maximize return on investment. The same study concluded that anywhere between 30 to 45 percent of cloud spend goes to waste. Some of the reasons for these circumstances include working with a more expensive provider than necessary or leaving unused workloads up and running. Savvy cloud users are actively looking for opportunities to cut down on costs and get more out of their provider partnerships: Sixty four percent of "mature" cloud adopters listed cost optimization as a top priority. Cost isn't the only consideration to mull over when selecting a cloud solution, of course. Factors such as reliable security and the type of network connection used are equally critical. Uptime – Your cloud solution is only as good as its availability. Excessive downtime could doom any application or workload that runs in the cloud. Businesses should look for cloud service providers that can offer optimal uptime as well as service-level agreements to back up their claims. Detailed SLAs can offer a safety net in case something does go wrong. Security – For years, cloud service providers had to deal with questions regarding data security and privacy. Organizations that were slow to adopt were understandably hesitant to hand over critical assets and information to a third party. The good news is the cloud is as secure today as it's ever been. Businesses should still do their due diligence and vet each vendor's cyber security protocols and check that their assets are going to be protected. Connectivity – Your experience working with the cloud could ultimately be determined by the quality of your provider's network connection. Some organizations let the price tag be their primary focus when selecting a service, and wind up with a poor solution that compromises workflows and app performance. You want to be sure that your selected cloud provider can meet your connectivity needs. Don't fall into the trap of only going considering your short-term network demands, either. As eWEEK noted, cloud providers should be able to meet connectivity needs over the long haul, especially if your business is expecting a period of significant growth in the near future. With all of that being said, the reality is that no two businesses are alike, and their needs are going to differ – sometimes immensely so. Choosing the right cloud provider for your organization is going to come down to which vendors meet your highest priorities. One of the key takeaways here is to not rush the process. Some cloud adopters may be in such a hurry to take advantage of these solutions that they put up a virtualized instance without considering if the way they virtualize even makes sense for their particular needs. Looking at the various criteria that sit at the top of your list of priorities, you may struggle to find a particular cloud provider that specializes in those areas and checks off each box. In those cases, it's often sensible to consider an agnostic cloud consultant and digital transformation provider. A business partner that appreciates the unique requirements of each customer and can tailor services to match those specific needs can cover your bases far better than an organization that's locked into particular service plans or vendors. What you should be looking for is a cloud consultant that works with you to find the best possible solution for your business. Taking a platform-agnostic approach to the cloud can help ensure you find the right solution for your specific requirements. Being locked into a specific cloud platform because your cloud services integrator only works with AWS or Azure severely limits options and prevents organizations from viewing the full range of available options out there. A cloud-agnostic consultant and digital transformation provider can help you get exactly what you need out of the cloud. To really take things to the next level, you may want to consider implementing a cloud management platform (CMP) to optimize every aspect of your platform. From monitoring security to cost optimization, a CMP can provide a single pane of glass to comprehensively manage your cloud environment. 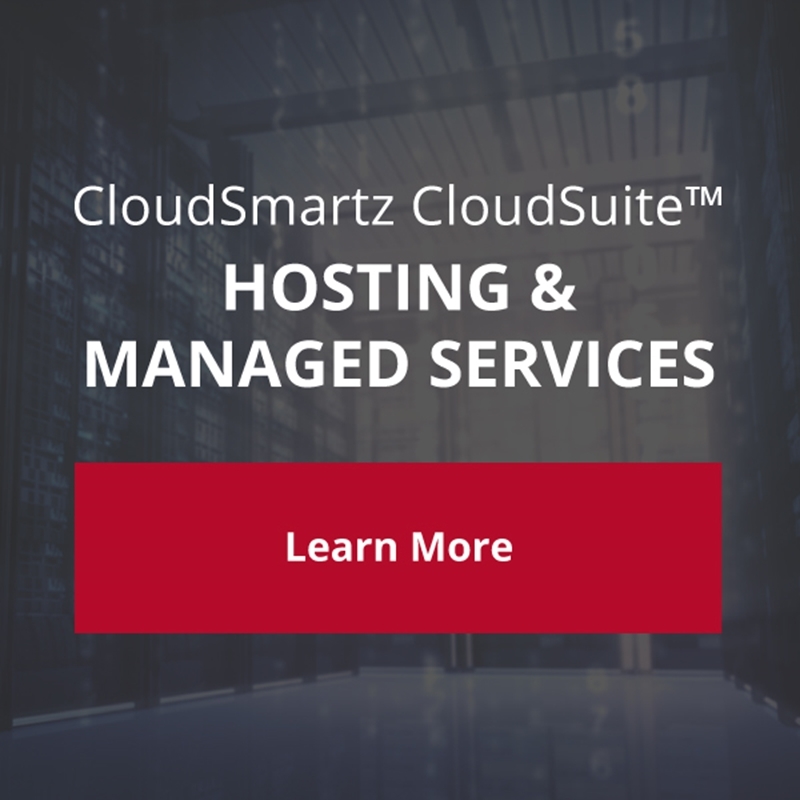 Contact CloudSmartz today to find out how we can help guide your cloud usage to new heights. Strengthen the customer experience through digital portals Are telcos meeting customer expectations?